Tullow Oil, an Independent oil explorer has issued a statement confirming great hope in the new year 2019. The company believes for growth in its oil production by 10%. 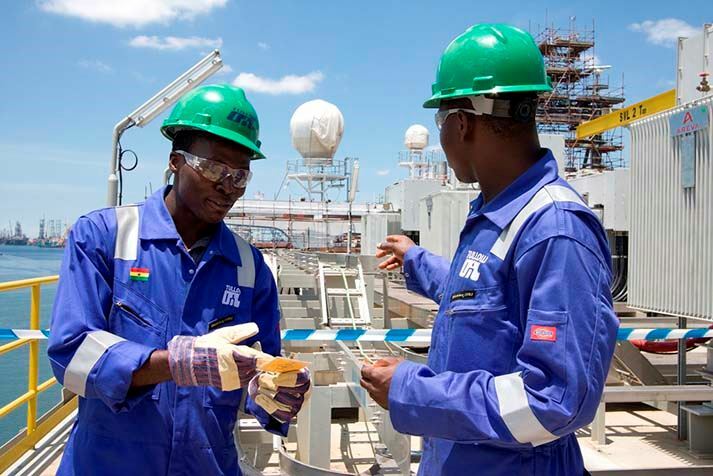 The statement was issued on Wednesday and Tullow based its claim on the successful drilling program at its Ghanaian assets. “Tullow is well-placed to deliver on its growth ambitions. In 2019, we will increase oil production in West Africa, target final investment decisions in East Africa and drill the first wells in an exciting exploration campaign in Guyana,” Tullow CEO Paul McDade said. The crude output is anticipated to increase by 97,000 b/d on average in 2019 from 88,200 b/d last year. With seven new wells on the way, Tullow looks forward to drilling approximately 180,000 b/d from Ghana. Tullow expects returns from the Uganda oil production in the first and second halves of 2019. “Negotiations with the Government are ongoing. The Operators of the Uganda development continue to target FID in the first half of this year once agreements with the Governments of Uganda and Tanzania have been completed,” Tullow said.